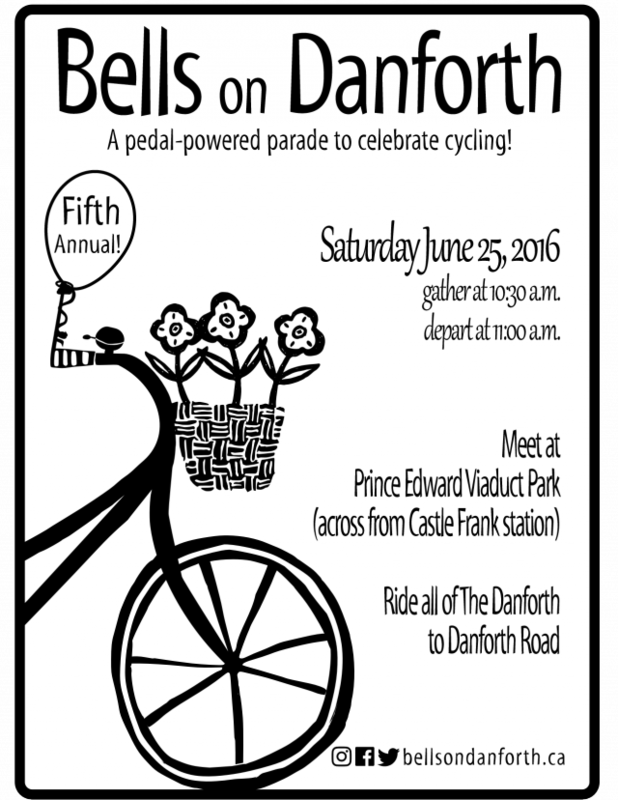 Bells on Danforth 2016 is on Saturday, June 25, less than two weeks away. We’re starting once again at the Prince Edward Viaduct Parkette (at the west end of the Viaduct, across from Castle Frank station) and will be riding east. Full details are on the Bells on Danforth 2016 ride information page, including details about the escorted return ride. Most common questions are covered in our FAQ.